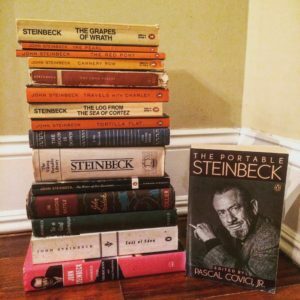 My absolute favorite writer of all time is John Steinbeck. The Grapes of Wrath is the first book I ever read twice just because and we even share the same birthday. So my goal has always been to read all of his books and I am like 85 percent of the way there.